This was my first foray into the world of Tolkien studies, an essay I wrote at age 17 that captures my earliest scholarly perspectives on the tales of Middle-Earth and the man who brought them into written form. J.R.R. 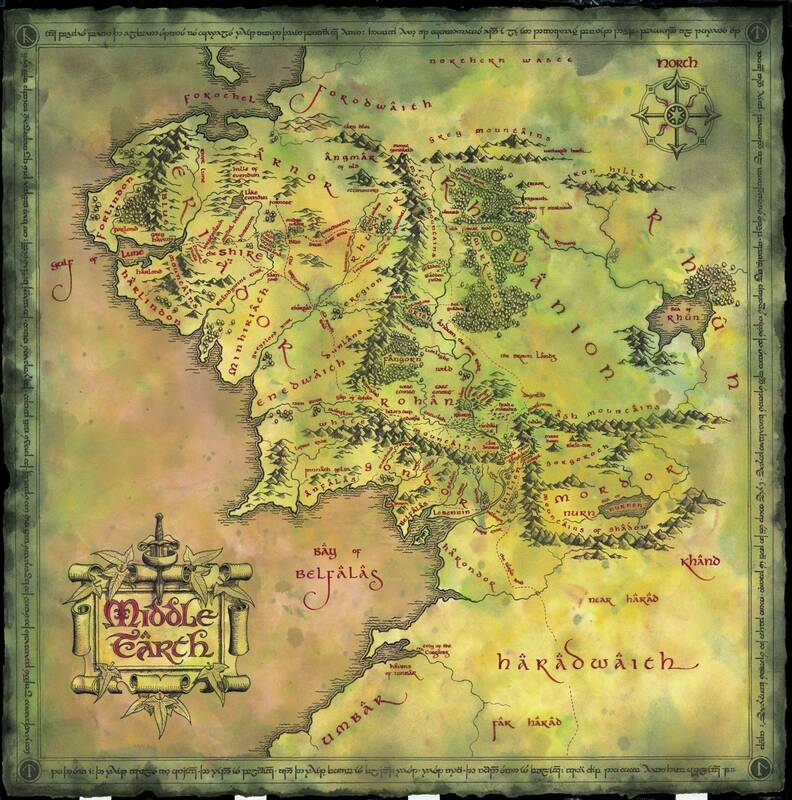 Tolkien gave to our time a reenchanted image of our world in his mythological epic The Lord of the Rings. He lived through many deep experiences, losses, and challenges, and it was from this journey of life that the noble and timeless vision of the mythology of Middle-earth was born. The Lord of the Rings gives an enchanted view of our world in which the individual comes to possess the willpower to carry the weight of the world, enabling him or her to overcome the evils present in both the inner and outer journey. Tolkien’s connection with his mother was one of the strongest relationships he had in his lifetime. While they were living in Sarehole, Mabel Suffield chose to convert from her family’s faith of Unitarianism to Catholicism, against her family’s wishes. Tolkien saw how much her faith meant to her and how much she suffered for it. In part because of her, Tolkien’s faith became a central aspect of his character. Mabel Suffield educated her two sons at home before they attended grammar school. She taught Tolkien Latin, French, and German and encouraged him not only to learn languages but to love them. In the course of his life he learned nineteen languages and came to invent another fourteen while also making a career as a philologist. Language became the roots of his Middle-earth mythology. In 1904 Mabel Suffield’s health began to deteriorate. 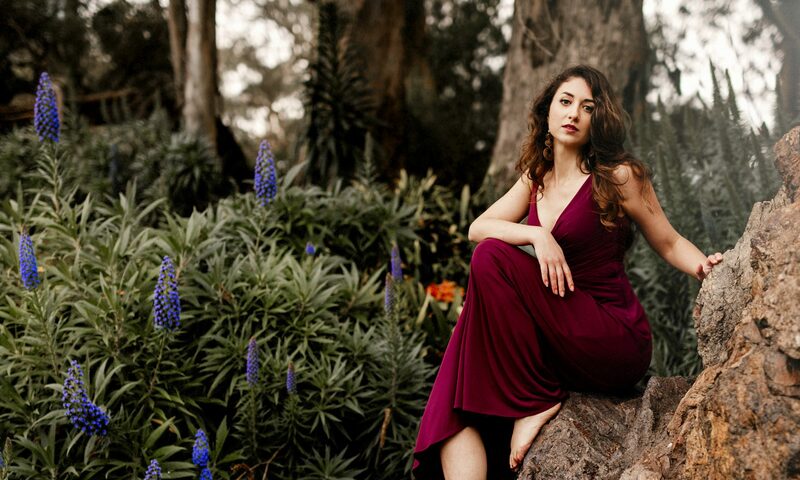 She spent much of her time in bed but recovery soon proved to be impossible. On November 14, when Tolkien was twelve years old, his mother died, leaving her two sons as orphans. When she died Tolkien’s religious faith and his love of languages were solidified within him, and he devoted himself passionately to them. At this time Tolkien began to see the loss and tragedy life presents us with. In a scene in The Lord of the Rings one of Tolkien’s hero characters, Aragorn (also called Strider), begins to tell a tale of Middle-earth. “‘I will tell you the tale of Tinúviel,’ said Strider, ‘. . . 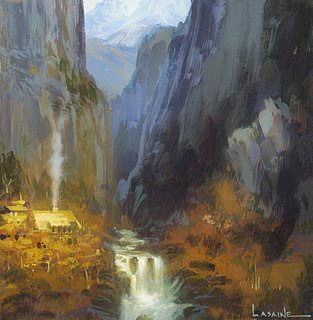 It is a fair tale, though it is sad, as are all tales of Middle-earth, and yet it may lift up your hearts.’” The tales of Middle-earth carry the same emotions and themes that we experience in our own world today. Death can make us loathsome and helpless as individuals, but it cannot put an end to the immortal four! . . . May God bless you, my dear John Ronald, and may you say the things I have tried to say long after I am not there to say them, if such be my lot. It was these words that set Tolkien to work creating a mythology for England. He felt that unlike other cultures, such as the Greek, Finnish, and Norse, the English did not have their own mythology. In Tolkien’s mind the Arthurian legends did not suffice, because they contained Christianity. The first idea for the mythology came from an Old English poem called Crist by Cynewulf. From two of the lines were born his first character and the name for the land of his creation. His first stories developed into what was much later published as The Silmarillion. They were tales about the creation of Middle-earth and the events that followed. Middle-earth was the same as our earth but set in a different time. Edith Mary Tolkien, Lúthien, 1889–1971. John Ronald Reuel Tolkien, Beren, 1892–1973. Tolkien had a very deep connection to his wife, which he portrayed beautifully in Aragorn’s final farewell to Arwen in “The Tale of Aragorn and Arwen.” “In sorrow we must go, but not in despair. Behold! we are not bound for ever to the circles of the world, and beyond them is more than memory. Farewell!” Although a Christian, Tolkien was still open-minded to accept that neither he nor anyone else truly knew what followed death. Hobbits are a little people of a land called the Shire located in the northwest of Middle-earth. “Hobbits are an unobtrusive but very ancient people” who “love peace and quiet and good tilled earth.” “They dressed in bright colours, being notably fond of yellow and green; but they seldom wore shoes, since their feet had tough leathery soles and were clad in a thick curling hair, much like the hair of their heads, which was commonly brown. . . . Their faces were as a rule good-natured rather than beautiful, broad, bright-eyed, red-cheeked, with mouths apt to laughter, and to eating and drinking.” The Shire is primarily based on Tolkien’s childhood home of Sarehole and the hobbits resemble the ordinary folk of the English countryside. Tolkien even considered himself to be a hobbit “in all but size” and there are remarkable similarities between himself and the hero of The Hobbit, Bilbo Baggins. The discovery of the good-natured, three-foot high, hairy-footed hobbits was the missing link to bring the rich mythology of The Silmarillion and the children’s fairy-tales together into one. Tolkien set The Hobbit in the third age of Middle-earth, thousands of years after the events of The Silmarillion. The Hobbit tells of the adventures of the hobbit Bilbo Baggins who traveled with a company of thirteen dwarves and the wizard Gandalf to the Lonely Mountain of Erebor to regain the dwarves’ stolen treasure. Along the way Bilbo picks up a magic ring that makes its wearer invisible. He found the ring in a cave where its previous owner, the slimy creature Gollum, had accidentally dropped it. Unbeknownst to both Bilbo and Tolkien, this ring had more power than was first apparent. The Hobbit was published in 1937 and was an unexpectedly huge success. Soon there was great public demand for more stories about hobbits. Tolkien set about writing a sequel the same year that The Hobbit was published, and the theme he chose to develop was that of this particular ring. Over the next twelve years, with unending encouragement from C.S. Lewis, Tolkien’s story became his life’s masterpiece, The Lord of the Rings. In The Lord of the Rings, Bilbo’s little ring turns out to be the ruling Ring forged by the Dark Lord Sauron who plans to regain it and rule all of Middle-earth. The One Ring has the power to corrupt all that bear it. One who keeps this Ring of Power “does not die, but he does not grow or obtain more life, he merely continues, until at last every minute is a weariness.” It stretches the life already given to its bearer so that his life becomes a mere shadow of what it once was. It becomes the task of Bilbo’s young cousin Frodo Baggins to destroy the One Ring by throwing it into the volcanic Mount Doom in Sauron’s land of Mordor, the place where the Ring had been forged centuries before. Along the way he is followed by the creature Gollum who left his cave in search of his precious ring. The Ring is guarded by a fellowship of nine of the free peoples of Middle-earth: the four hobbits Frodo, Sam, Merry, and Pippin, Aragorn lord of the Dúnedain, Boromir captain of Gondor, Legolas the Elf of Mirkwood, Gimli the Dwarf of Erebor, and the wizard Gandalf the Grey. Throughout the story each member of the Fellowship of the Ring meets challenges both from the outside world and within himself. Each member must face his challenge by finding inside himself what he needs to overcome it. The Lord of the Rings gives three profound gifts to our time. 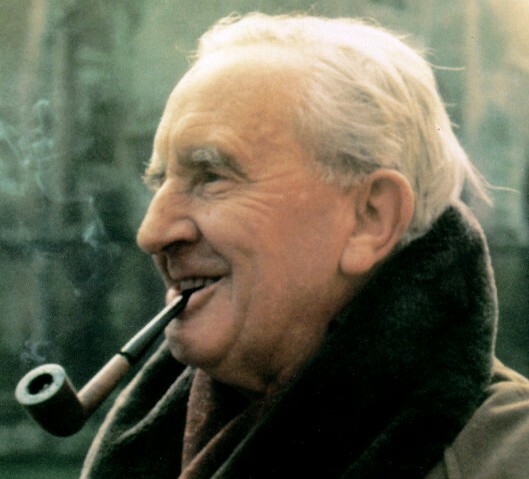 All three of these gifts reflect Tolkien’s ability to recognize the mythic, enchanted quality of life: first, the recognition that the individual may be called upon to carry the weight of the whole, to bear the fate of the world; second, the reenchantment of the natural world, the recognition of the soul of nature which is filled with deep meanings and purposes; and the recognition of the battle between good and evil both in the external world and within each individual person. Although The Lord of the Rings has many heroes, Frodo is truly a hero for our time. He is a humble character; he is not born a hero but grows into one. At the Council of Elrond, where the fate of the Ring is decided, Frodo takes upon himself the laborious task of the Ring’s destruction. The nature of the task is so great that no one could possibly impose it upon another, and it is only by Frodo’s willingly choosing to bear it that Middle-earth could be saved. Furthermore, Tolkien portrays Frodo as a hero who depends on others throughout his journey, and willingly accepts that help. Although the Ring was primarily Frodo’s burden he could not have accomplished his task without the help and support of others: a true friend like Samwise Gamgee, a wise mentor like Gandalf, a steadfast group of comrades like the Fellowship. It was the loyalty and courage of Sam that allowed Frodo to see his task to the end. I am not altogether on anybody’s side because nobody is altogether on my side, if you understand me: nobody cares for the woods as I care for them, not even the Elves nowadays. In Middle-earth, nature has its own soul and purposes; it does not need humanity to be more than it already is. Tolkien recognised that the conflict of good and evil has existed in the world throughout all of time. In The Lord of the Rings there are two very strong examples of this conflict. In his lifetime Tolkien saw how the new technology of the modern world began to overpower and destroy the beautiful countryside which Tolkien so greatly revered. Tolkien saw Sauron’s Ring of Power as a machine, something that took away the free will of humanity. The battle for Middle-earth was to reinstate that free will in both humanity and in nature. The other great conflict of good and evil is in the parallel stories of Frodo and Gollum. Frodo is the angelic hero who is barely eluding the grasp of the Ring’s evil power. Gollum, or Sméagol as he was once known, was a hobbit whose mind was poisoned by the Ring for five hundred years while it lay in his possession. In his loneliness and his struggle he began to speak to himself, creating two separate personalities: Sméagol, the naive hobbit, and Gollum, the slimy creature enslaved by the Ring. Both Frodo and Sméagol fight to overthrow the temptation of the Ring; Frodo so that he may destroy it, Sméagol so that he may be free of the hold that the Ring has on his mind. However, it is only through their joining together, a compromise and interaction between good and evil, that the destruction of the Ring can actually be achieved. The struggle, or battle, of life is to recognise and overcome this evil present not only in the external world but also, more importantly, within ourselves. The profound message carried by The Lord of the Rings is that each individual person on this earth has a task that they must fulfill. The world will provide obstacles but in the end it will be those obstacles that make us strong enough to complete the task we have taken upon ourselves. The task Tolkien unconsciously took upon himself was to give this message to the world in the form of his book. The Lord of the Rings renews a timeless tale that has lived throughout history, the story of the heroic quest of the individual human being. The Lord of the Rings truly is a mythology for our time. It reminds us of what we are each capable of doing. Carpenter, Humphrey. J.R.R. Tolkien: a biography. 2nd ed. New York: Houghton Mifflin Company, 2000. Curry, Patrick. Defending Middle-Earth. 1st ed. Edinburgh, Scotland: Floris Books, 1997. —. Telephone interview. 07 May 2005. “J.R.R. Tolkien: Biographical Essay.” Concise Dictionary of British Literary Biography, Volume 6: Modern Writers 1914-1945 1991 (updated 04/07/05) Biography Resource Center. The Gale Group, Inc.. S.F. Waldorf High School Library. 13 Apr 2005 <http://galenet.galegroup.com/servlet/BioRC >.”J(ohn) R(onald) R(euel) Tolkien: Sidelights.” Contemporay Authors Online 2005 (updated 02/24/05) Biography Resource Center. The Gale Group, Inc.. S.F. Waldorf High School Library. 13 Apr 2005 < http://galenet.galegroup.com/servlet/BioRC >. Noel, Ruth S. The Languages of Tolkien’s Middle-earth. 1st ed. Boston: Houghton Mifflin Company, 1974. Murrel, Alex . “The Inklings.” New View Spring 2004: 24-30. Tarnas, Richard. Personal interview. 24 May 2005. Tolkien, J.R.R. The Hobbit. 1st ed. New York: Houghton Mifflin Company, 1996 (1937). Tolkien, J.R.R. The Lord of the Rings. Vol. 1, The Fellowship of the Ring; Vol 2, The Two Towers; Vol. 3, The Return of the King. 2nd ed. New York: Houghton Mifflin Company, 1965/1966 (1954/1955). Tolkien, J.R.R. The Silmarillion. 2nd ed. New York: Houghton Mifflin Company, 2001 (1977).